Kairali is well known across the country and the world for its Ayurvedic healing village, resorts, spa centres and herbal pharmaceuticals. The Kairali Ayurvedic village, situated at Pallakad in Kerala, is one of the top 50 healing destinations of the world as awarded by National Geographic Traveller .Kairali group founded in the year 1989, but is long known for its great experience and expertise in the field of manufacturing of Ayurveda remedies under its pharmaceuticals division which started in the year 1948. As times progressed, the group understood the need toprovide holistic treatment facilities to the modern individuals and forayed into the area hospitality, treatment centres, spa’s and panchakarma centres. The group aims to increase the reach of its established and result oriented techniques to various parts of country through franchise models. Kairali Ayurvedic Centre, established under the aegis of renowned physicians and doctors, is a day-care centre for people seeking guidance and treatments for various health issues. Under Kairali Ayurvedic Centre brand a full-fledged treatment centre is developed where one seeks expert health advice by licensed health care professional such as an Ayurvedic Doctor (BAMS) and accordingly treated of various ailments. Professional therapists from Kerala are hired so as to deliver authentic Ayurvedic therapies and treatments to the clients. The Ayurvedic doctor, if need arises, advise Panchakarma therapy, which is a complete body rejuvenation procedure and alleviates chronic diseases from its roots. This can be established and implemented by any entrepreneur who wishes to invest in the health care industry. Kairali Ayurvedic Centre has spread its wings in the international domain as well. This Ayurvedic wellness spa in the international market have made lives healthier and stress-free. A Wellness spa is an establishment where people come for professionally administered personal care treatments such as rejuvenation and detoxification treatments, herbal oil massages and Ayurvedic facials etc. These wellness spas are similar to a Luxury Day Spa. 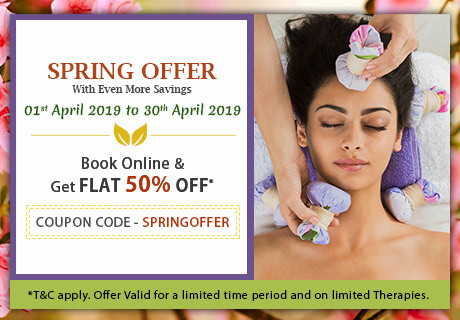 But the only difference is that, luxury day spas are visited for the duration of the treatment, whereas, under Kairali Ayurvedic Spa brand we can run the Wellness Centre with or without an Ayurvedic Consultant on board keeping in mind the client target segment. These rather enhance the longevity of the individuals, thus bringing the lives on track. The fusion concept is drawn for seekers and investors who are willing to develop a facility which intends to provide complete wellness and treatment-based solution under one roof. This concept will enable all the investors to come to a successful venture and lead to the path of a healthy route. Under this concept investors are free to bring in different brands specializing in different fields related to health and wellness sector and Ayurveda will be one of its essential element which will focus on Health through traditional and authentic means under the brand name Kairali. Kairali rightly promises to deliver traditional and authentic Ayurvedic services that it had gained from its ancestors. We also intend these services to any Ayurvedic Hospital/Ayurvedic Clinic's so they can deliver Ayurvedic services of highest quality & standards.